Another version was a crab paella with peppers and peas and lots of saffron powder. We used a crab/shrimp broth and while this one was less rich than the chorizo paella, it was chock-full of nearly 1/3 kilo of peeled crab meat. So what’s the problem? After a few days of testing the paella at the new outlet, it didn’t seem to get sufficient interest from customers. I managed to sell a few orders to tables that seemed receptive to suggestions, and they seemed to love it (wiped out every grain of rice! ), but perhaps the thought of paella paired with lechon just didn’t seem to make sense to most guests. Hmmm, so my question to readers is, was this a bad idea? Would you eat paella with your lechon? Wouldn’t you want to be able to order just a cup or smallish portion (say for 3) of paella rather than a whole pan? Or do I need to give this a bit more time to catch on? Your comments are greatly appreciated. sir marketmanila, in the filipino psyche, both paella and lechon are special faire, not something that you would pair, outside of a fiesta, or a party. This I think is the core of the problem. Why not offer paella only on Saturday, Sunday and Holidays instead? I too prefer lechon with a veggie side and plain rice. Would probably consider paella if served in smaller portions. I Still don’t know how to cook paella but with this procedure i will. Agree with all of the above….taste buds overload, and yes, special order days a good idea. Perhaps also helps in planning for the stocking the restaurant larder of the freshest of your ingredients on the special order days. mm it’s because people are health conscious now- but me i will eat both maybe 3x a week. yeah put a premium. sorta like ramen nazi’s tantan mien. put “only x servings available on y days” on a signage. the unobtainable makes people excited. Paella is already unique by itself without needing a pairing at all except for a good bottle of wine for a very special occasion or gathering. Will take a small side of green salad to cut its rich taste but that’s the only pairing which is appropriate. I think it is pretentious to have both lechon and paella, however each has its own preference of pairing food. I know paella stuffed lechon is available now but I agree with the others…too rich and the “umay” factor comes in. Simple is always better. Welcome back MM! While paella is a meal unto itself, I grew up with the pairing of lechon and paella and this is still a favorite pairing in our family. 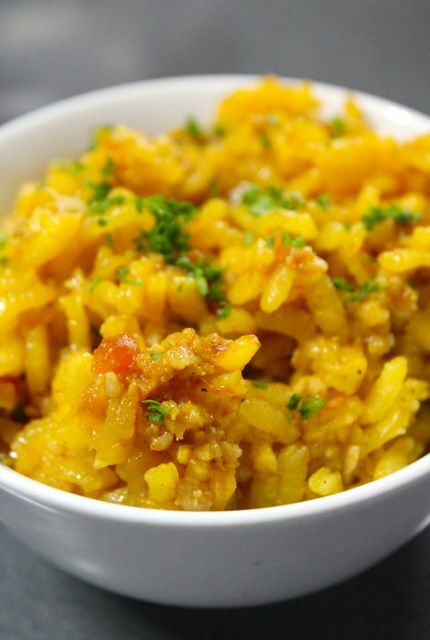 i love paella, and i love zubochon so ideally i’d welcome both if it were available. but if i were the diner and i’d been looking forward to zubochon for months (since i’d have to fly to cebu to get it), i’d allot majority of the space for lechon, and would think that the paella (carbs!) would be taking up space i’d rather fill up with zubochon. I actually love eating at Alba’s because I can eat paella with cochinillo (spanish lechon). My theory for your restaurant is that lechon is best eaten with lots of rice so people would rather pay for 2 scoops of plain rice than 1 serving of paella rice for the same cost. Prefer plain white rice to appreciate the flavour of the lechon. Just my thing. But I will eat the paella on its own. Would definitely order both if available. Though I would opt for the smallish quantities of paella. Lechon is still better if eaten with plain rice. This is SO COOL, your comments are so enlightening. I have naturally paired paella with lechon, but didn’t realize most folks might not… Hmmm, food for thought, definitely. Thanks! When people order paella, there is an element of selfishness involved, ie, “it’s all mine/ours and made freshly just for me/us in one pan from start to finish.” So what you can do is to make Chinese claypot paellas – individuals and for 2. Once the order comes in, put stock and rice together into the claypot, cooking it to a quick boil. Add herbs and goodies, cover and simmer till done and with socarrat (crusted bottom). Top with more herbs and serve. I believe this can be done within 20 minutes. I guess when people decide to eat at Zubuchon, it’s for the lechon and anything that will complement the lechon. 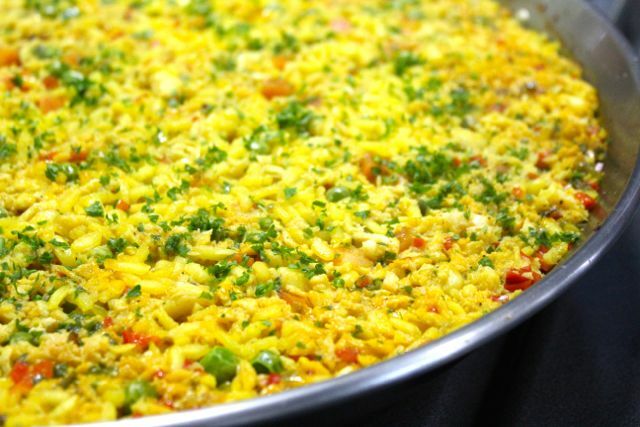 Unless it were a unique ‘lechon paella’ dish, then any other paella dish wouldn’t be ‘aligned’ with what people perceive zubuchon to be. i’d love to have that crab paella, but i wouldn’t pair it with lechon – the combination would be too rich, and i would not want to be distracted from either. if i were a first-timer at zubuchon, i imagine i’d go for the lechon and then pair it with something lighter (or something that is perceived to be “less sinful”) than the lechon. plus, many Pinoys would insist on plain rice with lechon – no yang chow, no paella..again, so the tongue is not confused and distracted. Paella is a special food unto itself. People don’t usually mix it with anything else – while they are eating it – especially if the paella consists of several ingredients, like seafood paella, chicken/meat/chorizo paella with some selected vegetables thrown into the mix. Lechon is another type of special food and, for some reason, really goes well with white rice, along with some condiments, and salad or steamed vegetables on the side. 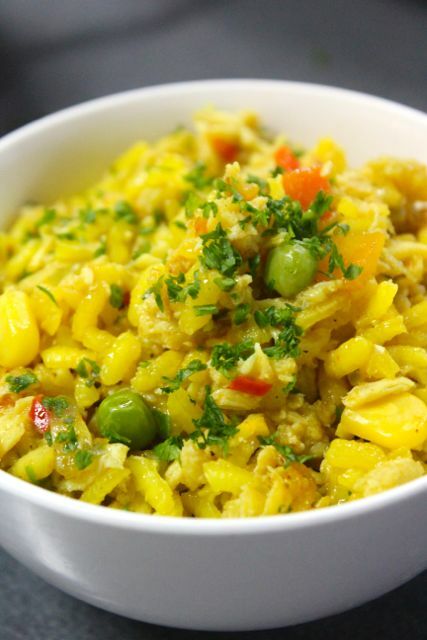 Also, paella doesn’t seem to be the type of food that people would want to eat everyday, rather it is something to look forward to on a special day. So, a sign on the storefront stating that paella will be served in the restaurants on such and such day, people can make plans with their friends and families and say, “Hey, it’s paella lunch/night at Zubuchon, let’s go.” To further the temptation (if your restaurants have the license), you might also want to show the bottle of wine that you are going to pair them with. Maybe a couple of whites for the chicken or seafood and a couple of reds for the assorted meat. As with anything else, you would want to give your customers enough time to see if they will appreciate this new addition to your menu. Good luck to you! I would concur with the general opinion to keep them separate. Most Pinoys haven’t had the two together and wouldn’t know or can’t imagine how they would taste together (although it is good). Plus when you order lechon, you automatically think of plain rice and personal condiment. Plain rice or puso would be the perfect blank canvas for that holy pork. Thinking like a customer, I also wonder where in that duo would my sawsawan fit in? Would my liver sauce/toyomansi clash with the paella? These may be pedestrian thoughts but the inner conflict would be real hahaha! 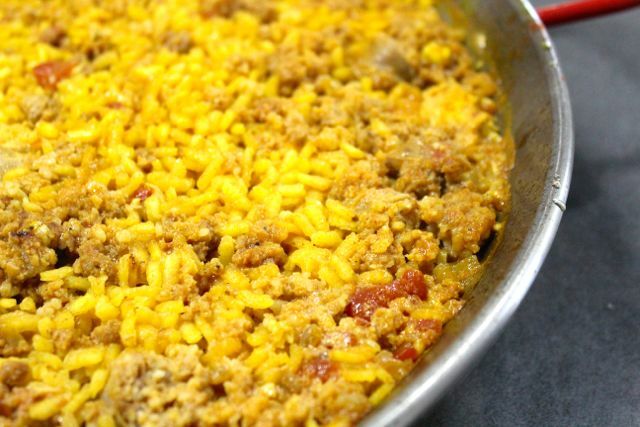 How above a paella dish with liver and lechon broth, a la dirty rice of the South? It’s like having Nora Aunor and Vilma Santos in the same movie. I wouldn’t mind eating paella with lechon but I personally prefer just plain rice against the unctuous flavor of the lechon and a delicious spiced vinegar to cut through the richness. I would appreciate a store selling paella though, especially in big pans, if I am planning on an “instant” but impressive dinner party or celebration. Maybe making it family size and available for advance orders only will work? Paella is more of a for “celebration” / “occasion” type of dish. So is a whole Lechon. But in a per order basis (group lunch / family dinner) Lechon is somewhat accepted along with dinuguan, lechon paksiw etc.. Maybe “retail paella” or “more affordable Paella” are seen as a turn off and frown upon. Have you tried “Ly*i*s” paella sold in foodcourts here in Manila? I wouldn’t have it even if you pay me. Glamorize your Paella and sell it at a higher price (even on chosen days only) Give it the love and care you have given your accuchon or prickchon. Who knows, it might become the star partner of your pimpled pig :) (My two cents only – also it might not work with the Cebu people cost wise.) Manila branch maybe? I have always enjoyed eating paella with the lechon at Alba’s but didn’t like the Lydia’s pairing of paella stuffed lechon. I found the later way to oily. I would not pair paella with lechon. Now, Im craving for paella! Man on the street prefer lechon with plain rice to savor the richness of the lechon. True. But then you need to remember that that item is way less expensive than paella. So, another point worth considering here is the financial capacity (limit) of your customers. Seconding Manny’s suggestion for a lechon paella! Having them as separate dishes is a bit much for a “regular” meal. I’m just so happy that you have a new post!!!! In Bacolod we eat arroz valenciana ( my fave) with Lechon so why not. Goodluck marketman.. Since I always order lechon and 5-pork fried rice whenever I eat at zubuchon, I have no problem having paella lechon. The paella lechon I prefer would be similar to the paella tinto (replacing beef with lechon) of The Corner Table of yesteryears. How about serving seafood paella only in Zubudagat, not in Zubuchon? I would rather be going to a restaurant like yours expecting to eat the “best” of everything (lechon, zubudagat [? ], btw, perfect combo), than eating a paella that is not authentic and I agree with lots of comments, not a good combo bec. it will be too rich. Please tell me what five pork fried rice is. It is “pork” we are talking about, are we not? Does this fried rice have five different kinds of pork cuts or organs in it? Eva, our five pork fried rice has lechon minced, chicharon, drippings from freshly roasted lechons, tampalen (the renderings of leaf lard) and a bit of homemade lard along with bagoong and some diced green mango and other spices. It’s quite deadly in a good way. :) And probably more deadly than any paella I can cook. Give this a chance. I always eat my paella with cochinillo. I’ve always viewed paella as a meal unto itself–strong flavours all in one dish. I can see eating lechon with pork fried rice (complementary), but I can imagine the chorizo from paella competing with the simple flavours of lechon. If I’m choosing a restaurant based on its lechon, then I want the lechon to be the star of the meal. Still, I would try a small dish (think tapas-sized) of paella. I’m always searching for good paella! One thing to try, some restaurants in my city might advertise on Facebook a particular special one day a month, and in limited portions. That way if it doesn’t sell as well as hoped, the waste is minimal. But it also gives the impression of rarity and exclusivity, something many people fall for, which may help give it the boost it needs in sales. OMG – Geez, MM! I want Five Pork Fried Rice!!! It’s like how tuyo tastes so much better with plain white rice than sinangag. I would not hesitate to order paella with lechon. Actually a version with lechon on top would be hard to resist! Yes! Definitely [fried rice] + [lechon] = YUM!! Also if I may suggest, how about offering different kinds of fried rice. Like say one that is the standard fried rice but with aromatic and smokey roasted garlic; one that is on the sweet&sour side, like omurice w/o the egg but with atchara or pickled veggies; one that is chock-full of veggies, (mushrooms, napa cabbage, aromatics, corn, carrots, etc.) basically a vegetarian Yang Chow fried rice(to counteract the guilt of eating lechon, :D); lastly a variation of the pork rice but this time flavored with your home made chorizo/longganisa. I love lechon. I love paella. But I think I prefer not to have both together. 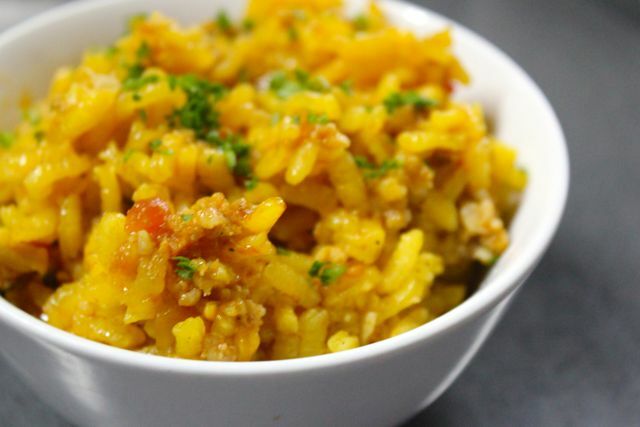 When done right, the rice of the paella tastes of what the paella is, even without the seafood or the meat. So it is a bit rich and pairing it with another rich dish like lechon may probably be too overwhelming. Your customers might be hesitant to try your paella because they’re probably thinking it would cost a lot as compared to plain steamed rice. Why not try to introduce it to them by having a promotional combo or family meal that has the paella rice instead of plain white rice. You can run the promo for a month or two and by the time the promo is over they’ve tried the paella rice and will order it from the menu without hesitation. Just a suggestion. i remembered when i was young, our lolo would get a lechon stuffed with paella inside it. it was a special treat during our family celebrations in the 80s. he stopped getting that lechon stuffed with paella sometime during the 90s. This is fascinating. Come to think of it, I never really eat lechon with rice. I like it on its own. It’s more pica pica than ulam for me. I would order paella and lechon together BUT I think I won’t eat them together in one mouthful, which is the way most Pinoys eat rice. It’s more of a filler, or something to extend flavour. In this vein, it does make sense that most would prefer plain rice to paella. I would love to eat paella with lechon. Although, I would prefer a “plainer” paella rice, meaning it’s just flavored rice, with some bell peppers & beans perhaps but no added meat because I’d prefer the lechon to be my ulam still. Lola used to stuff the lechon with rice and razor clams, basically a seafood paella. I grew up with memories of each family gathering having lechon meticulously prepped and cooked by my grandaunt paired with seafood paella/valenciana. So it would be a pairing I would actually enjoy. But MM, I think the pairing is not a usual fare for us Filipinos. Lechon is considered ‘fiesta’ food eaten with white rice. Paella is oftentimes considered a special dish only served in spanish or high end specialty restos. Hi MM. l love both and I’d have them any day for that matter. So if you offer the paella in your restaurants, you can be sure my sister and I will order it. Back in the good old USA again. Didn’t make it to Pigafetta but I will make sure when I get back to go there.